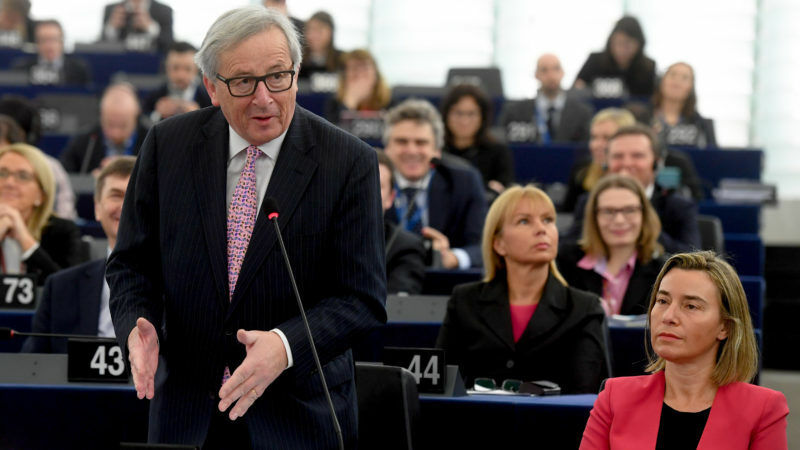 President Jean-Claude Juncker presented five scenarios for the future of Europe. But there is a sixth option, which is better than those sketched out in the White Paper, reveals Karl Aiginger. Karl Aiginger is the director of the European Policy Crossover Centre-Vienna Europe and professor of economics at Vienna’s University of Economics and Business. Juncker’s first option is a linear extension of the present policy. This policy has led to low dynamics and high unemployment. Citizens are disappointed about the European project and exit movements are arising in many member countries. The second option is a return to a single-market-only concept, a retreat which might silence some opponents but is misdirected, given the new challenges of political conflicts, globalisation and climate change. What observers see as the president’s preferred option is number three: a Europe of different speeds, with no one at the steering wheel. It is the revival of the idea of a core Europe (dominated by Germany, plus or without France) and a periphery. The fourth option is to do less but more efficiently; the report suggests giving up regional policy and parts of employment policy. The fifth is “doing much more”, which is infeasible given the current mood of citizens and governments. Its role among the options is to make Juncker’s preferred option, scenario three, look like a good compromise. The reason Juncker presents five scenarios instead of a strategy is that he has given up on any hope of getting a consensus. He is not willing to take on leadership for a new strategy in the final years of his presidency. He cannot solve the dilemma that most of the pressing problems require a coordinated European answer, while distrust of citizens in European institutions is increasing. The EU is considered centralistic, bureaucratic, and influenced by lobbies and big companies. Current European policy is not improving living conditions. Eurosceptic parties and exit movements are supported by Trump and Putin. Disappointment in European performance does not represent the complete picture, however, since Europeans – especially young ones – tend to overwhelmingly vote for more Europe when asked in the Eurobarometer Surveys. This leads us to a sixth option: a stronger Europe, which presents principal answers to the new global challenges, but in such a way that it empowers countries and individuals to look for the best solution. European policy widens the scope for countries according to their preferences and priorities. More national sovereignty is created through a European policy addressing challenges that cannot be met by individual countries. This can be done in a way that then opens more scope for regional preferences than fences and renationalisation could ever provide. For tax policy, this implies that Europe guarantees that tax shifting to countries with low rates is no longer possible. Country to country reporting and paying taxes according to activities makes headquarters in tax shelters useless. The tax base for corporate taxes is harmonised; minimum taxes for tobacco and alcohol are set. Under these circumstances, each country can set the tax rates and structure according to its preferences. Today, taxes are levied on activities, which can be better defined and are more difficult to shift. As a result of lacking European coordination, taxes are primarily based on labour, though this increases unemployment. Emissions are tax-free, though this leads to high costs of preventing global warming. For fiscal policy, this implies that European policy should define the periods in which all countries should expand public spending and when they should cut debt. If a single country tries to stimulate demand alone, the result will be small, since a large part of expenditures disseminates to neighbour countries. The effect is larger if all countries work in the same direction simultaneously. If policy is coordinated, each country can either increase expenditures or cut taxes based on its own preference. Each country expecting the other to do the job results in low growth and high unemployment. The idea is to coordinate policies so as to meet new challenges but to always do this by empowering member states. Regional as well as innovation policy show how a coordinated policy may stimulate regional preferences and bottom-up projects. Europe spends much more and better targeted on regional policy than any member country could do alone. Regions with low per capita income and employment get more money, richer regions less. Access to European money is, however, dependent on regional concepts; these define priorities for manufacturing, tourism or health resorts. Similarly, European research grants are provided by competitive tendering; projects are designed from the bottom up by individuals, research groups and universities in member countries. Finally, the Paris climate agreement is a diplomatic masterpiece: ambitious goals were agreed upon between 195 countries with very different starting positions and preferences, but each country has to present its own strategy for how to achieve the goals. If the sum of the measures does not suffice, the countries will be required to beef up their measures. This strategy is different from those proposed by Juncker. Countries do not decide whether to go for European integration or opt out of each policy they dislike. Europe goes for common solutions when the problems cannot be solved by countries individually. In this scenario, Europe is not “doing less”, giving policy fields back to members, and it is not doing “much more”, which would not receive democratic support. Europe addresses global challenges, not by micromanagement or bureaucratic rules, but rather by empowering members and individuals to develop concepts and initiatives. They improve living conditions and allow innovation in fields where the optimal solution is not yet known and in which national starting conditions and preferences are different. So Europe can continue to be a success model, which it already is from a historical perspective, and shape globalisation according to its own strengths. Juncker’s propsal cannot work and won’t work ! The European policies worcs well if the Union has federal administrations but it hasn’t . Years things have been manageg internally and hasn’t worked how should it work again with different supervising or national managed policies ? He’s speaking about concepts which we know that hasn’t resolved the Problem .! The Courage answer is the End of Austerity by impleemting a treasury and single tax divided in differents EU branches administrations like defense , minimum wage and so on because that is the only and real solution . If Merkel or Hollande Rutte Renzi hesitates then only solution is bying each other and end the Union which isn’t in reality one . As I said – the actual everyday busining is further a toxic mixture instead to go straight to the correct bi-federal path .